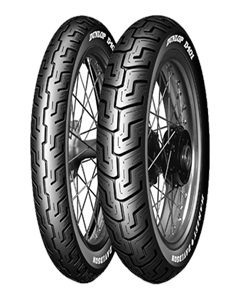 The Dunlop D401 is the only tyre approved by Harley-Davidson® for its cruiser models. We think that says a lot about the tyres we make. The D401 features advanced tread patterns and unique compounds that mean you get outstanding grip whether it’s wet or dry. The specifically formulated compound is extremely durable meaning you can keep on cruising for longer.